Elements of psychedelia can be found in all areas of our life, from the movies we watch and the art we consume to the music we listen to and the books we read. Books about psychedelics can be particularly interesting because they allow us to look at psychedelia through a variety of different lenses, from academic studies to the way that psychedelic culture has impacted our society as a whole. The best psychedelic books are just like any other books that will bring you success in that they have a certain quality that allows you to see the world in a new light. They reinterpret the reality that we live in and present new ideas that can be everything from challenging and sublime to ridiculous and laughable. The only thing that they really have in common is that each of them will make you think. And so without further ado, let’s jump on in and look at just seven of the best. This is arguably the best psychedelic book if you’re interested in the history of LSD and how Timothy Leary, Ram Dass and other academics first started experimenting with it at Harvard University. Written by former San Francisco Chronicle journalist Don Lattin, it’s a fantastic piece of historical journalism in its own right and is the perfect book to begin a list like this with. 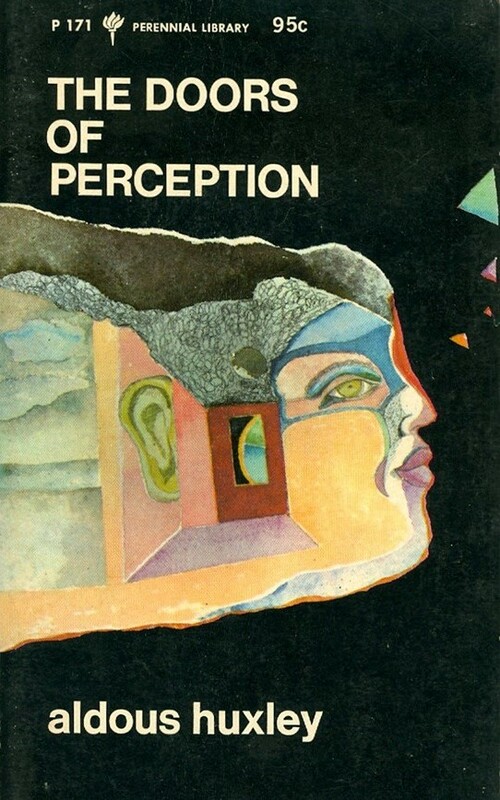 Penned by Aldous Huxley, The Doors of Perception is often published as a bind up with Heaven Hell, and both of them are worth reading for some insight into psychedelia. It’s also been so highly analyzed that you can find discussions about the book on pretty much any custom essay writing service in the UK. It’s regarded as a modern classic and so should be on your reading list even if you’re not interested in psychedelia. This book was written by Timothy Leary, the so-called father of LSD who famously told people to, “Turn on, tune in, drop out.” In the book, which is based on the Tibetan Book of the Dead and which he co-authored with Ralph Metzner and Richard Alpert, he advocates the use of psychedelic drugs as a form of spiritual and self-development. Elephants On Acid is the non-fiction equivalent of a short story collection in which author Alex Boese investigates a number of unusual scientific experiments, including one in which elephants were given LSD in a bid to see how they’d react. It’s not entirely about psychedelics, but it’s fascinating nonetheless and the titular experiment is fascinating, despite sounding almost too strange to be true. First published back in 1968 and written by Tom Wolfe, this book follows One Flew Over the Cuckoo’s Nest author Ken Kesey and his “Merry Pranksters” – a group of friends including Jack Kerouac’s muse Neal Cassady – as they travelled around the country while taking psychoactive drugs including LSD. This book by Michael Pollan was a New York Times bestseller last year and is a more recent addition to the field of psychedelic literature. It examines the science behind psychedelic drugs and has a particular focus on how they interact with “consciousness, dying, addiction, depression and transcendence”. It’s a mixture of popular science and modern philosophy, and the two work together surprisingly well in this book that’s as entertaining as any novel. Written by Daniel Pinchbeck, this entry investigates the history of psychedelic use with a particular focus on shamans and shamanism. This one’s a fascinating read if you want to learn about the ancient origins and uses of a variety of psychedelics and mixes it in with plenty of personal experiences. It’s not one that you’ll want to miss. Now that you know which are the best psychedelics books for students, the next step is for you to give them a read. Many of them are available second hand online, and they’re also well-known enough that they’ll probably be in stock at your local library. For my part, I’ve picked up each of these books at second hand shops and thrift stores, so if you keep your eyes peeled for them, you’ll see them. So whether you’re reading for fun or for your studies, you could do a lot worse than to get started with this list. Many of the books we’ve talked about have already stood the test of time, and with good reason. So go ahead and get started! Jay Stevens, 'Storming Heaven' - the most comprehensive account of the acid project (L Ron Hubbard was an early advocate). However, for a prediction of how a psychedelic scenario can be used to manipulate people, Britain's most controversial author (and painter) Wyndham Lewis's 'The Childermass' (1928) is a perfect exposition of 'anti-psychedelia' .